Presentation is the key for anyone presenting their country online. The Grenada Board of Tourism did a great job with the website. The site is well laid out and easy to navigate. 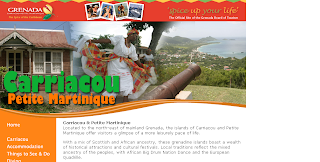 This website is a great representation of Grenada, Carriacou and Petite Martinique.